Cookery demonstrations are a fantastic way to assist the learning process. LMC has 9 trained school cookery demonstrators who can deliver messages about the nutritional benefits of beef and lamb, food safety, food hygiene, quality assurance, provenance and cooking methods. The demonstration is delivered to suit your timetable. Since 1999 LMC has offered free cookery demonstrations to post primary schools across Northern Ireland. These cookery demonstrations are designed to show the versatility and convenience of beef and lamb as well as highlighting their importance within a balanced diet. LMC’s demonstrators can tailor demonstrations to meet the needs of different year groups, abilities and other requirements. The cookery demonstrations are designed to be fun and informative, with our demonstrators passing on useful nutritional information and cookery tips. At the end of the demonstration there is an opportunity for the pupils and, of course, their teacher to sample the dishes and ask questions. 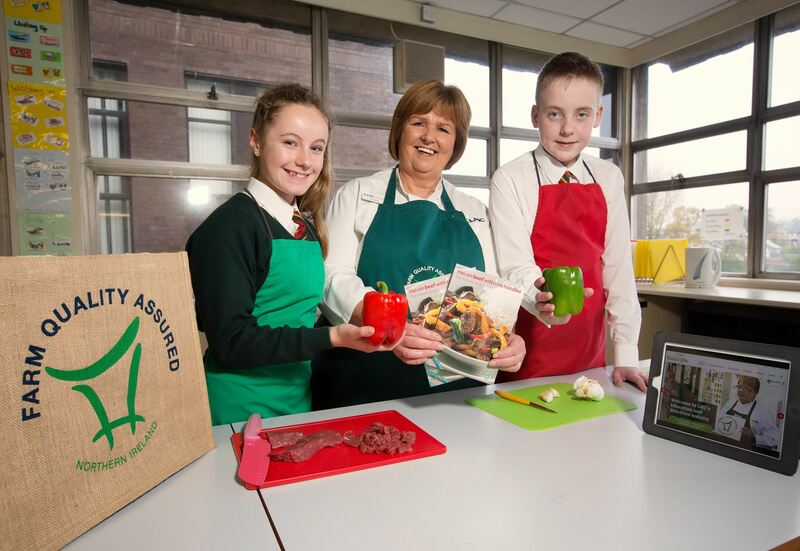 Each year we carry out over 300 school cookery demonstrations throughout Northern Ireland. You will be notified when booking opens for each academic year. There is high demand for this service; in order to avoid disappointment complete the electronic booking form as soon as possible after notification. All confirmed demonstrations must take place between 1 September and 31 March of the following year. What is the target year group? Please enter a time when you will be available to receive calls from the LMC demonstrator to arrange a session. If we fail to hear from you within a fortnight of the first telephone call/email, we will free up your slot. Please inform us when you are booking of any communication barriers and what support is available from the school. If the date of a demonstration has to be changed for a genuine reason please let the LMC demonstrator know as soon as possible. Please be aware that LMC’s demonstrators are freelance and may have turned away other work to do your demo. Access to the room prior to the demonstration is vital for initial set up. In order to get the full benefit from your demonstration please ensure that the demonstrators can have full access to your facilities at least half an hour before the demonstration begins. Please advise at the time of booking if any of your pupils have allergies. This is also important prior to the demonstration taking place, especially if you know another teacher will be covering your class. Most importantly we hope you and your pupils enjoy the demonstration. The demonstration was very relevant to the new spec at GCSE from food provenance point of view, girls fully understand how traceability works from farm to fork. They also gained important information on the nutritional value of meat and learned they actually do like lamb!